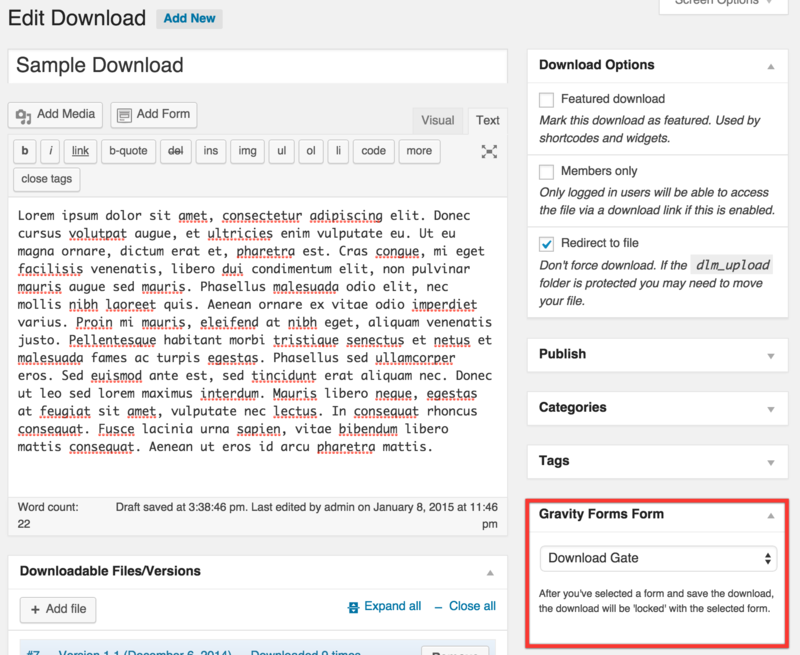 The Gravity Forms extension for Download Monitor allows you to require users to fill in a Gravity Forms form before they gain access to a download. After installing the extension head over to the Gravity Forms form you want to use for locking a download. 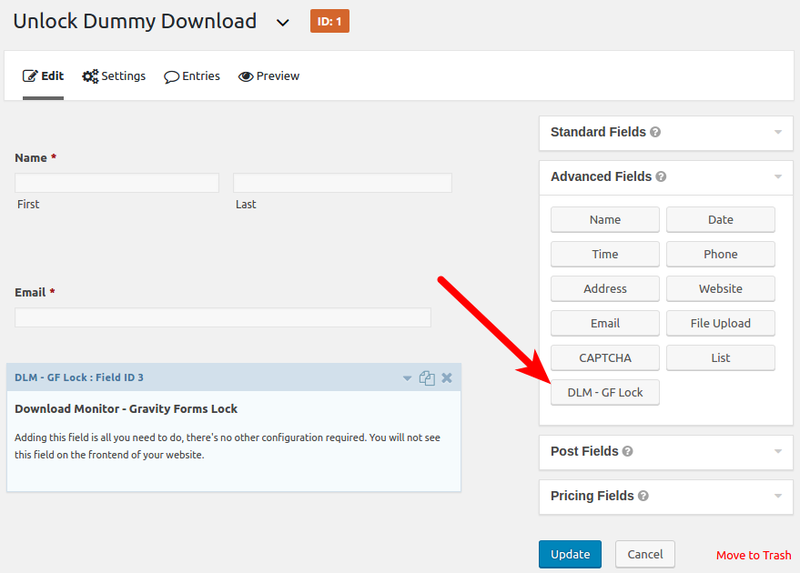 In order for the Gravity Forms extension to work properly you need to add the Download Monitor field to the forms you'll use to lock downloads. The Download Monitor field is added to the "Advanced Fields" group and is named "DLM - GF Lock". Simply click the "DLM - GF Lock" button and save your form. Now that you've prepared your form it's time to set the downloads you want to require your form submission prior download. If you scroll down the page you'll find a new meta box on the right side called "Gravity Forms Form". 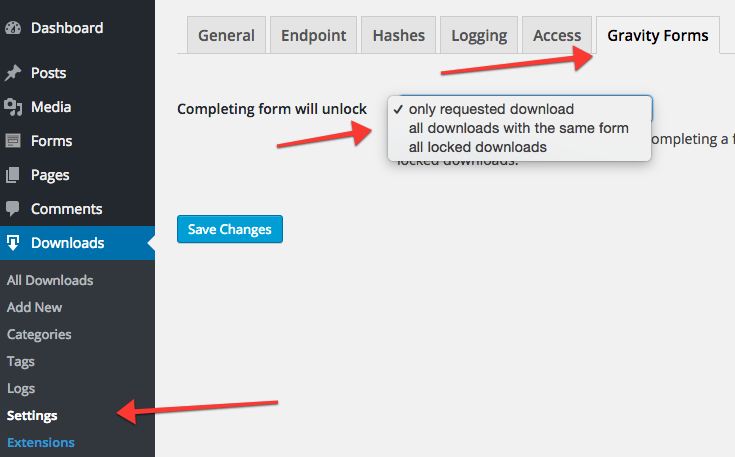 Select the form you want users to fill in prior download and save/update the download. 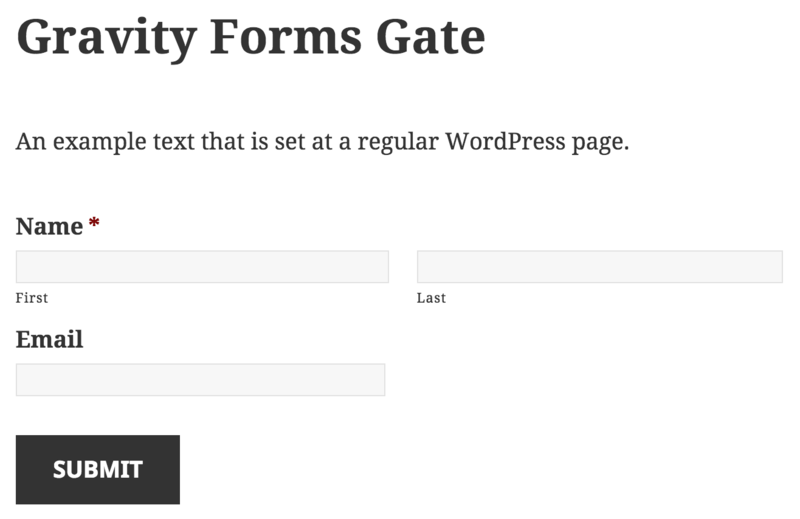 The Gravity Forms extension comes with a new shortcode that will display the Gravity Forms form and will display a download link to the file after the form has been successfully. You need to pass your download ID to this shortcode, we used download ID 5 in our example. Warning! Do not use the default [gravityform] as this will not properly unlock your download! Instead of displaying the unlock form on your page you can also display the default download link by using the [download] shortcode. When the visitor clicks the link, Download Monitor will check if the user has already unlocked the download. If they didn't yet, a No Access page will be displayed. The Gravity Forms extension automatically appends the correct Gravity Forms form to the No Access page so your visitor can unlock the download there. Because you use the default [download] shortcode, you can use all of the shortcode's attributes like output templates! You can find the unlock type setting at the Gravity Forms tab in your Download Monitor settings page. If you've followed above steps in the Usage section your download is ready to go. Visitors will be have to complete the selected Gravity Forms form prior be granted access to the download. After the visitor completed the form, the Gravity Forms extension will append a download link to your confirmation message. This URL will be automatically generated based on the download shortcode you've used. After the form is filled in the download link doesn't work. Make sure that you've added the Download Monitor field to your Gravity Forms form in order for Gravity Forms to recognize to download. See the Usage section above. Can I fire the download automatically after the visitor completed the form? You can! Head over you the settings of your form and go to the Confirmation section. In the Confirmation section select "Redirect" as Confirmation Type. Enter the download URL (/download/download_id/) of the file you've locked as the Redirect URL. Can I alter the download link/button HTML that is appended to the Gravity Forms success message? You can! The Gravity Forms extension comes with an overridable template file gf-download-link.php. Copy this file to your the download-monitor directory in your theme (create the directory if it doesn't exist) and modify the file you just copied to your theme any way you want. This way you can still safely update the extension without losing these customizations! You can! Add your Gravity Forms shortcodes appended with `gf_` to your locked [download] shortcode.